An option to perform partial refunds was added to Control Center. 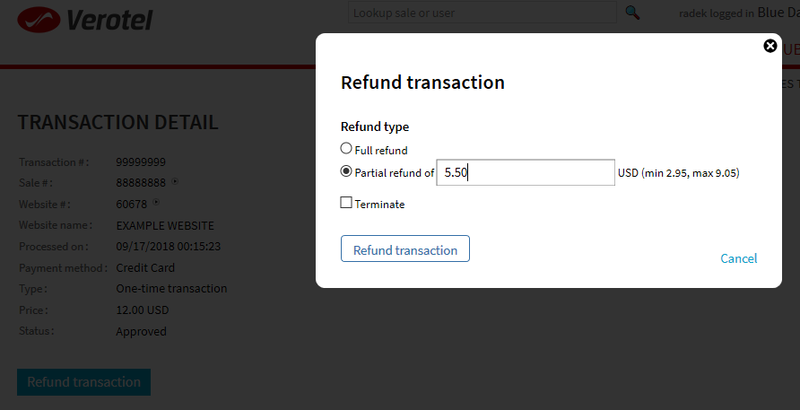 You can specify an amount to refund on the refund dialog in transaction detail page. If the sale is a subscription you can also decide whether to terminate it or leave it active. The partial refund option is NOT available for sales where an affiliate is involved, in cases NATS integration is enabled and when the merchant’s account is setup with security charge rate plan.